The Bible is God’s Word given to us for daily nourishment. In this series, we will challenge one another to grow in our relationship with God by feeding ourselves with his Word every day. Big Idea: God’s Word is to our spiritual wellness what food is to our physical wellness. 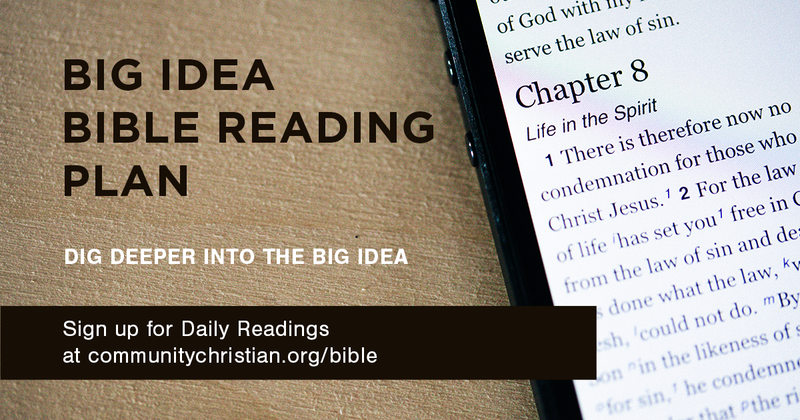 Big Idea: We will grow and prosper when we follow a simple method for meditating on God’s Word. Big Idea: When God’s Word becomes part of you, it gives you the wisdom and power to overcome.